Virtually maintenance-free, American Steel Span steel horse barns last 40+ years living up to their reputation and serving their owners for generations. These steel horse barns are durable and built to withstand whatever Mother Nature can throw at them. Made from the highest quality, US commercial steel that money can buy, American Steel Span designs each steel horse barn with strict adherence to regional building codes. 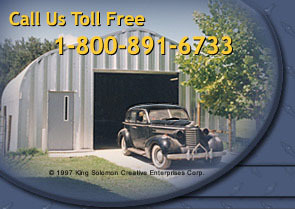 Steel horse barns are also attractive and offered in a variety of models and popular colors.